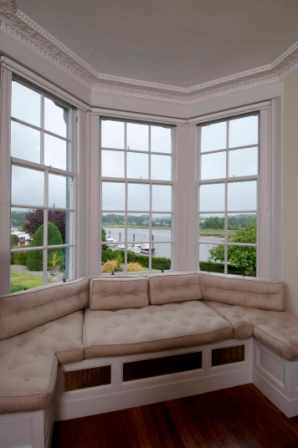 A unique opportunity to purchase an outstanding category "B" listed Georgian town house, located in a prestigious position on the "Old High Street" in the harbour town of Kirkcudbright, with stunning views overlooking the River Estuary. 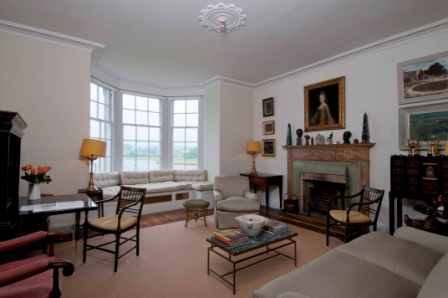 Moatwell House has been refurbished in recent years, and retains many original features including sash windows and working shutters to many of the rooms, as well as the beautiful fireplaces and ornate plasterwork. The unique house offers five bedrooms with one on the lower ground floor, which has a separate kitchen and shower room, providing potential for a self contained flat within the house. 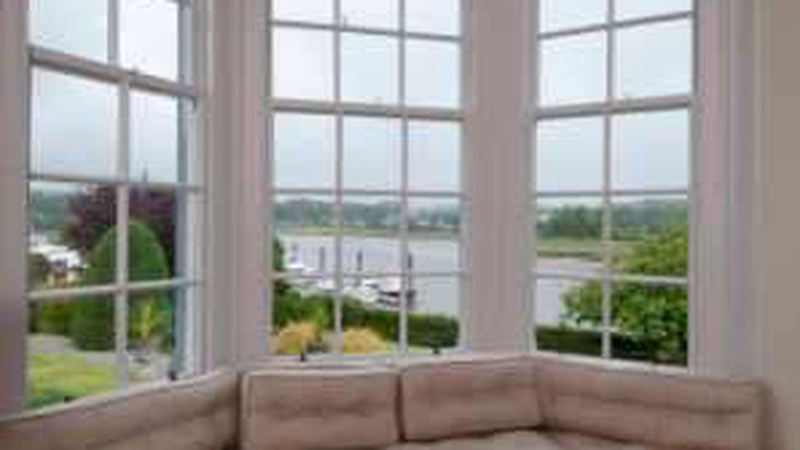 A stunning Drawing Room on the ground floor has a large bay window overlooking the river estuary, the perfect place to enjoy a book or watch the daily traffic of boats. In addition the property incorporates a large adjoining garage and vaulted store below with planning permission for a residential dwelling. It is understood that this earlier structure dates from the 16th century and sat at the entrance to the town's original water gate it has previously been used as a granary, a ballroom and hall for travelling players. The beautiful gardens at Moatwell are enclosed and situated to the rear of the property, bounded by a stone wall and hedge, all overlooking the River Dee. The lawn is sheltered by mature trees and shrubs, and a delightful refurbished summer house is located to one side providing a tranquil private area to enjoy the river setting and scenery beyond. The summer house would be ideal as an artist's studio, a home office or playroom. A yew hedge at the top of the harbour wall divides Moatwell from the River Dee and for boating enthusiasts there is potential for creating a mooring against the wall which is owned by Moatwell. 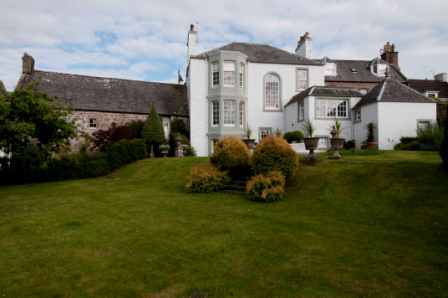 David Corrie, Head of Residential at CKD Galbraith's Castle Douglas office, explained that the property dates back to at least the late 18th century in its present form. He added, "The name appears to have derived from the area at the foot of the High Street where it meets the river, and where before 1850 there would have been a ford at low tide. The element "moat" refers to the late 12th century castle moat, the remnants of which can still be seen and visited at the end of the High Street opposite the Moat Brae and Harbour." 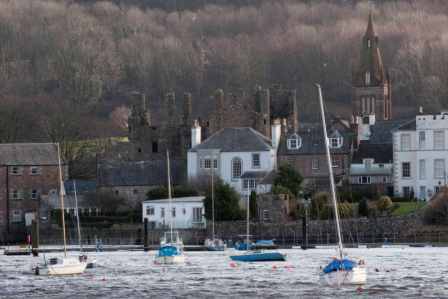 The pretty village of Kirkcudbright was an established artist's colony, famed for its quality of light and close knit artist community collectively known as the Scottish Colourists. Still retaining that vibrancy and community sprit the village high street is lined with a wide selection of mainly family owned shops and the 'Spring Fling' opens over 50 artist studios to the public each May bank holiday. The South West of Scotland is well known for its mild climate, attractive unspoilt countryside and the diversity of sporting and recreational pursuits. There is good hill walking in the nearby Galloway Hills as well as along the Jubilee Path from Kippford to Rockcliffe, as well as beautiful coastal walks along the cliffs at Portling to Sandyhills where there is a pretty beach. For cycling enthusiasts there are new designated cycle routes as well the Seven Stanes mountain bike routes, including Dalbeattie Forest and the Galloway Forest Park. The Galloway Forest Park is known as Britain's First Dark Sky Park and has recently opened a full time public-use observatory, the first in the world and a completely unique facility. Moatwell House is offered for sale, in its entirety, by our Castle Douglas Office.